Britvic Soft Drinks is offering bartenders the chance to win an all-expenses paid five-day trip for two to Ibiza Rocks 2018 in an exciting new cocktail competition that will run during London Cocktail Week. UK bartenders are invited to submit two cocktails to be assessed by an expert panel, which will select four finalists. The successful drinks will be served to trade and consumer visitors at London Cocktail week, who will also vote for their favourite cocktails. Before the overall winner is announced, the four finalists will be invited to put their winning cocktails to the test at London Cocktail Week on Friday 6th October, with First Class travel paid for by Britvic Soft Drinks. Be as creative as possible, Britvic wants you to show your talent using its range of products in both cocktails. 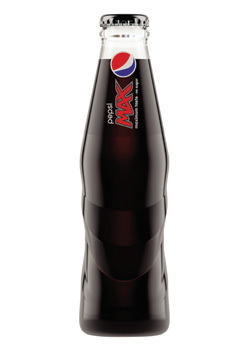 Cuba Libre Twist – the cola needs to be Pepsi Max, and your spec should complement its unique blend of flavours, demonstrating how this great tasting, no-sugar cola works really well as a cocktail mixer. Your Best Original cocktail – aside from including one of Britvic’s products, there are no rules. Experiment with the extensive range of Britvic’s brands and products, including some of the most iconic soft drinks brands in the country. As well as Britvic premium mixers, juices, cordials and Pepsi, there’s Teissiere – the number one syrup brand in France, R White’s Lemonade, 7Up, Lipton Ice Tea, Purdey’s, J2O and J2O Spritz amongst others. For inspiration, and to see the full range visit www.pourmoreflavour.co.uk. Simply submit your cocktail recipes before the closing deadline of Monday 25th September. After the closing date, the judges score each entry, and the four bartenders with the highest points will be notified that they are a finalist by Friday 29th September. Throughout London Cocktail Week, visitors to the The Max Lounge located in the cocktail village at Old Spitalfields Market will find all four finalist Cuba Libre cocktails on the menu and will be able to order their favourite. The more orders a cocktail gets before the final, the higher it will go up the ranking! With two cool bars – a laid-back main bar and a more premium cocktail bar, plus a unique sensory room and silent disco, The Max Lounge is sure to attract plenty of visitors! Then, on Friday 6th October, all four finalists will be invited to attend the final and prepare both their winning cocktails – the Cuba Libre and their Best Original cocktail – for a panel of professional judges to taste. After that, the overall winner will be announced and presented with their prize. So, don’t delay, ENTER NOW by completing the form below, and you could be rocking in Ibiza next summer!